Moodabidri is a small town 37 km northeast of the city of Mangalore, in Karnataka state, India. Because of widely grown bamboo crop here in ancient days, this place got named as Moodabidri. During 14th–16th centuries period, this town emerged as a center of Jain (Jainism is one of the popular religions of India) religion, culture, art and architecture. As many as 18 Jain temples, known as Basadis, were constructed during this period. The most famous from these temples are Guru basadi, Tribhuvana Tilaka Chudamani Basadi and Ammanavara Basadi temples. 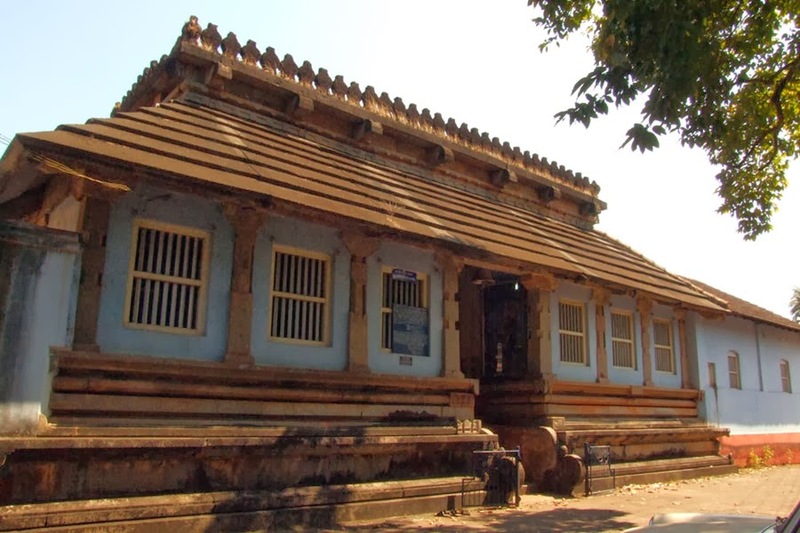 Guru Basadi is one of the earliest Jain monuments in Moodabidri and is also called as the Hale Basadi and Siddantha Basadi. It is built of stone, the exterior walls of the Basadi are covered with copper. A stone idol of Parshwanatha, about 3.5 metres tall, is installed in the sanctum of this Basadi, which also houses rare Jain palm leaf manuscripts of 12th century A.D. known as ‘Dhavala texts.' This black granite image of Lord Parshwanatha in ‘kayotsarga’ posture was installed here in year 714 by a Jain ascetic. In addition, 64 nos. of Navratna idols of Tirthankaras and the Dhavalas are preserved in the temple. 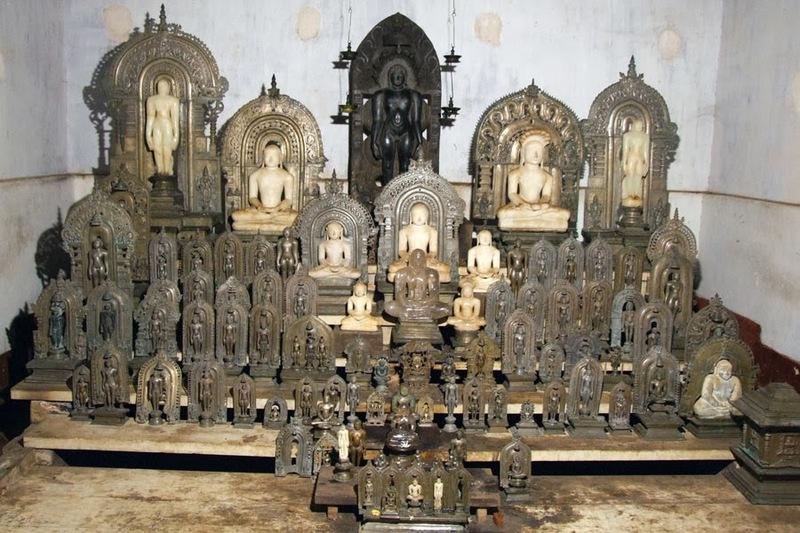 In the wee hours of 5th July 2013, 20 miniature idols were stolen from the Siddantha Darshan block of Guru Basadi on the Jain Math premises. The idols, made of precious stones, were three to four inches in height. Thieves reportedly broke open a window of the Siddhantha Darshana Block using gas-cutters. Within a month, Mangalore police managed to nab 4 suspects, including prime suspect Santosh Das, his wife Diptimayee Mohanty, her father Digambar Mohanty and jeweller Rajaji alias Subash Sancheti from Odisha all of whom were thought to be the thieves. They also managed to arrest one Sandeep Sancheti, a resident of Chhattisgarh town in central India. The prime acused had confessed to the police that he had handed over 7 idols to this Sandeep Sancheti,. Who runs a jewelery shop in Chhattisgarh town. Police also found evidence that Santosh Das had visited the jewelery shop. 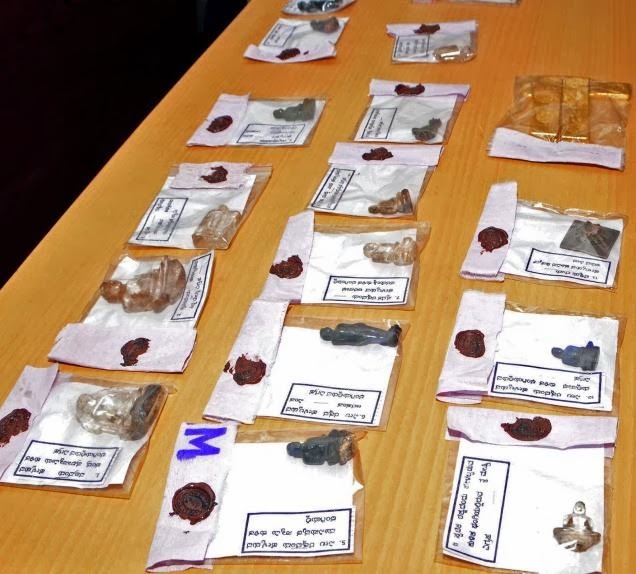 Police had also managed to recover from the suspects, three idols intact and gold ingots done from five gold idols. However there was no trace of remaining idols. They had just disappeared in thin air. This week, Mangalore's Police Commissioner Manish Kharbikar received a post parcel sent on 2nd November by speed post. On opening of the parcel by the police, they were astonished to see 12 idols from Guru Basadi temple, neatly packed inside the parcel. Police commissioner says: “This is the first time that we have received stolen property in a parcel.” Police soon called Jain Basadi representatives for identification of the stolen goods. They visited the police station and confirmed that all the missing idol were there with one idol damaged in transit. The police however have refused to reveal either the name of the person or the place from where the parcel has came and said that they are collecting information and would soon find out, who had sent the parcel. A place of dispatch has been mentioned on the parcel but it was actually dispatched from a different place. However, Mystery is still far from over. Police Commissioner Mr. Kharbikar says that the number of idols received by him, were more than the number of idols that were reported to have been stolen on 5th July. This means that whosoever reported the theft, had willfully reported a smaller number of idols as stolen, indicating a clear insider help for the thieves. Police investigation is still continuing.